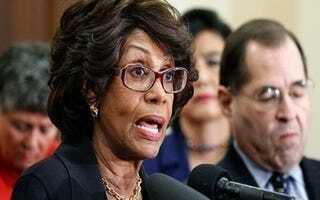 Maxine Waters Ethics Probe Colored by Partisanship? Thank goodness for political watchdogs. Citizens for Responsibility and Ethics in Washington is calling for an investigation into the House Ethics Committee after Politico reported about partisan turmoil in the panel. The Ethics Committee is scheduled to meet this week to determine if it wants to continue with an investigation into whether Rep. Maxine Waters (D-Calif.) used her considerable political sway to intercede on behalf of a bank, according to Politico's On Congress blog. Before CREW called for its investigation, Politico reported earlier that two former ethics investigators shared information with Republicans last year during the investigation into Waters and Rep. Charles Rangel (D-N.Y.). CREW is right to call for an investigation. If accusations are true, the long-secretive Ethics Committee should be overhauled to eliminate partisanship.